Surin is a province with a long historical background. It takes about 457 km from Bangkok by car. Surin is known as a city of elephants because in the past, elephants were the main vehicles of Surin people. 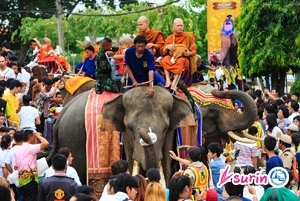 Later, in the middle of November of every year, there is a festival of elephant’s performances that people can join the event and watch the shows.